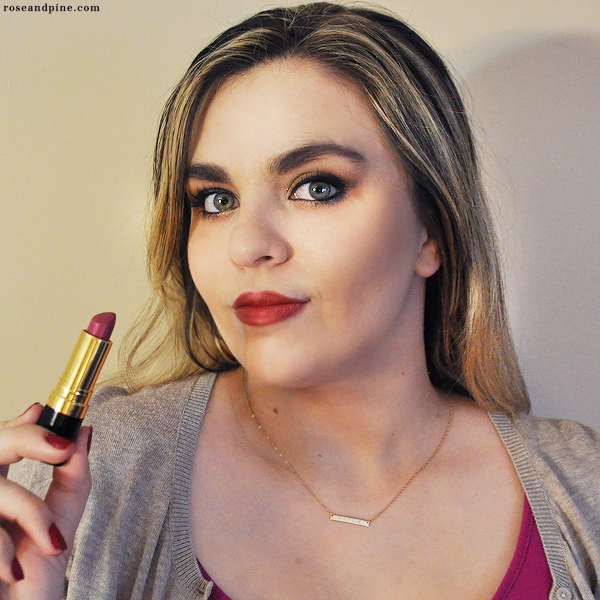 rose & pine: The Perfect Lip Color for Fall! 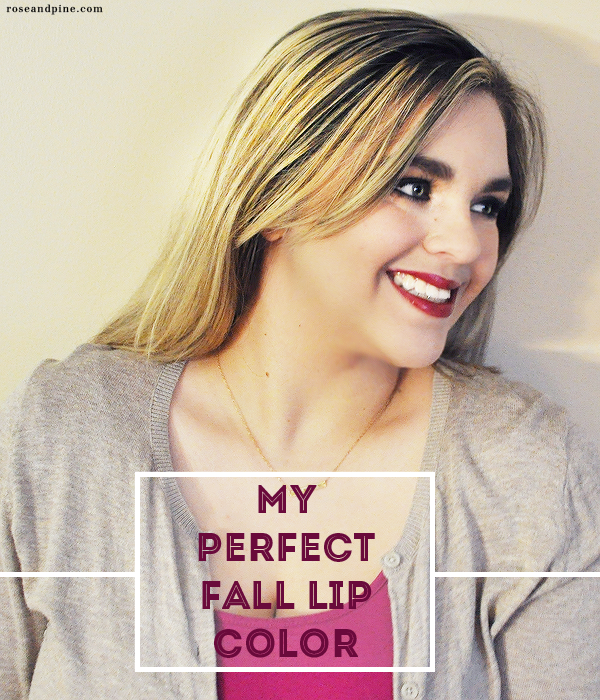 The Perfect Lip Color for Fall! Happy tuesday everyone! And a very happy Veteran's Day to all of the amazing men and women out there who help protect our country! Today I'm going to show a quick tutorial of this dark lip I've been wearing a lot these past few weeks! I had never really been brave enough to wear a bold, truly dark lip color until last winter. These past few weeks I have been wearing this lip combo like crazy, nearly every day. I start off with fresh, smooth lips. I normally use an EOS sphere lip balm to prep my lips, but I also really love the Softlips Cube! To start off this lip, I use a reddish lip liner. My favorite is MAC's Half Red lip liner. It's a beautiful - you guess it - almost red, or can be better described as a plum with some red. 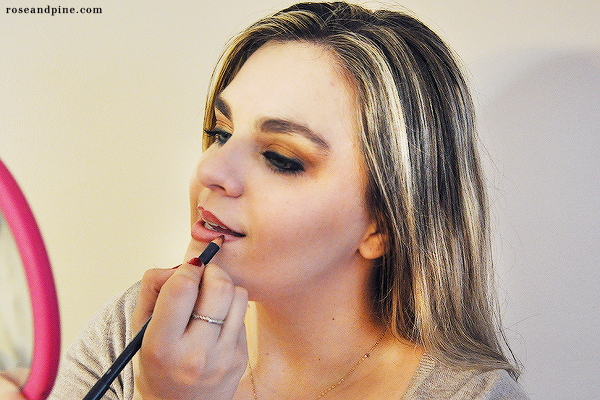 Line your lips with the reddish lip liner, then fill the rest of your lips in. I know, it's gonna look pretty silly. But trust me, lip liner makes the best base for lip color. I don't know why I went so many years being 'scared' of lip liner, it's amazing! Next I use a purple lipstick. My favorite for this lip is Revlon's Berry Couture lipstick. It's a nearly sheer purple that looks great over the lip liner. The last step is to use Revlon's Colorstay Moisture Stain in Parisian Passion. This is my new favorite product, it is a stunning purple-red stain that is super pigmented and moisturizing. And that's it, my favorite lip color this season! I hope you're all having a fantastic day, and I'd love to hear about your favorite beauty product or combination in the comments! This post contains some affiliate links. Thank you for supporting this blog! Love this look! I, too, used to be petrified of bold lip colors. They have now become my obsession! 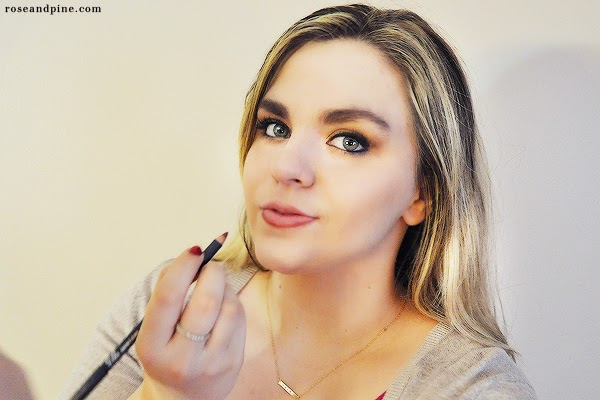 Lip liner really is the secret trick! I wanted to let you know I nominated you for the Liebster Award. 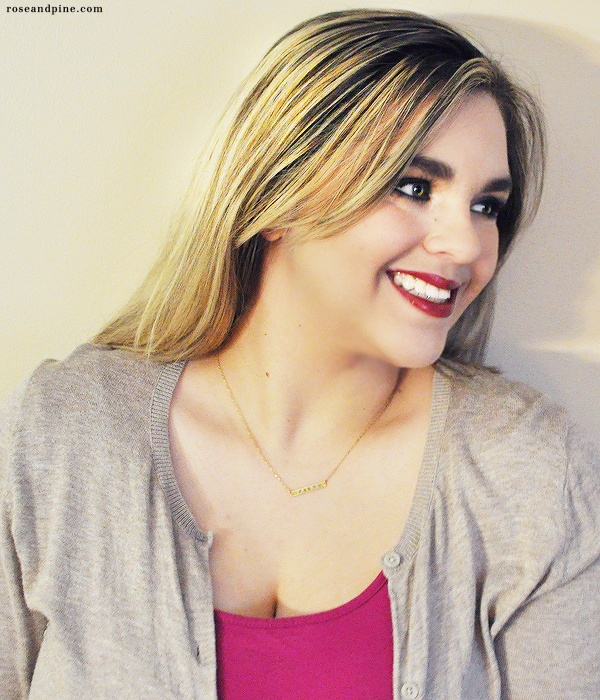 I absolutely love following your blog and would truly love to hear your responses! Its fitts ur skin perfectly, and these photos are so great!